First we have XR Göteborgs Rapé and then there is XR Göteborgs Rapé Slim White Strong Portion! A snus with the classic Göteborgs Rapé flavor of mild tobacco, Juniper and lavender. With slim white portions, for a longer lasting flavor experience with less drip. 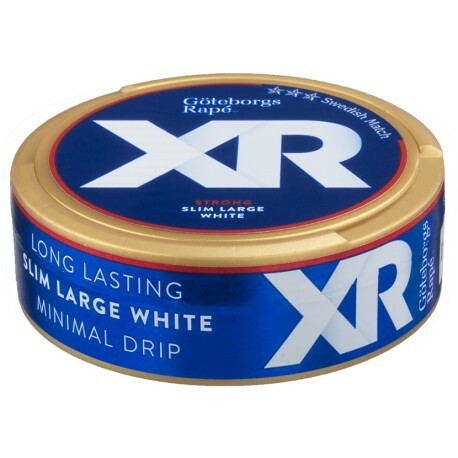 Also this snus lands on the strong category with it's 13,5 mg / g of nicotine.